1st Street Graphics specializes in high-quality short-run custom heat transfers for our customers in Denver, Colorado, and throughout the United States. 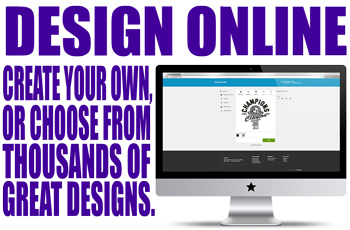 We bring your designs to life. With top-notch screen-printing techniques, we manufacture the most exceptional heat-applied transfers for our loyal clients. Our clients love us because our heat transfers typically outlast the garments and apparel, they're printed on. We've been in the screen-printing business for more than four decades. We've watched industries, companies, trends, and consumer habits and expectations come and go, but we've stood the test of time. We've observed new technologies completely change the business, and we've adapted with the times. We have a few core values that guide us, of honesty, integrity, and industriousness. If you're looking for high-quality custom heat transfers in Denver, Co, look no further! At 1st Street Graphics, we've simplified our services into several easy-to-understand programs. Each program has different features, but each is designed to help our clients identify the services they need quickly and make a simple selection. On our end, these programs help us manage our workload more efficiently and get finished products to our clients faster. Please feel free to check out each one of our many programs to find the one that's best for you. If you have any special needs or requests, just let us know. Prompt and caring client support is the foundation of 1st Street Graphics. For any schools in the Denver, Colorado, metropolitan area 1st Street Graphics provides the best custom heat transfers for school apparel and team uniforms. Since we've worked with countless schools already throughout the United States, our experienced representatives can provide insights and recommendations regarding garment and equipment supplies and answer any questions you have. 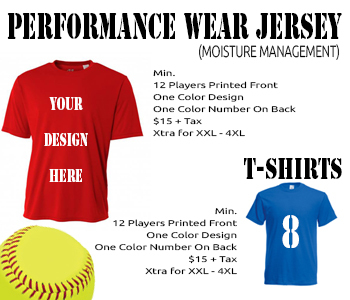 Give us a call today at 816-233-4567 for more information on our school apparel and team uniforms options. Our most popular program is our Rapid program. This program was designed to accommodate the average client's needs. It's ideal for the client's who require minimum-help with their art and want their custom heat transfers delivered quickly. Most clients receive their items in as little as 3-5 business days. With this program, clients can choose from more than 50 font types and sizes, more than 6,000 pieces of clipart, and may even submit their own digital artwork. This program is excellent for most clients in need of short run and fast custom heat transfers for the Denver metro area. Many clients prefer the Simulated Process Color Custom Transfers program. Clients provide 1st Street Graphics with digital art or picture or have a custom design created by our art department according to your specifications. There's a 30-item minimum purchase for this program, with affordable pricing. We recommend that clients provide us with high-resolution images, as these yield the best results when printed. This program is great for printing on both lights and darks. Browse the 1st Street Graphics website and if you have any questions, don't hesitate to reach out either by phone, 816-233-4567, or by email, burtner@1ststreet.com. We would love to be of assistance with any questions and your custom heat transfers for the Denver metro area.